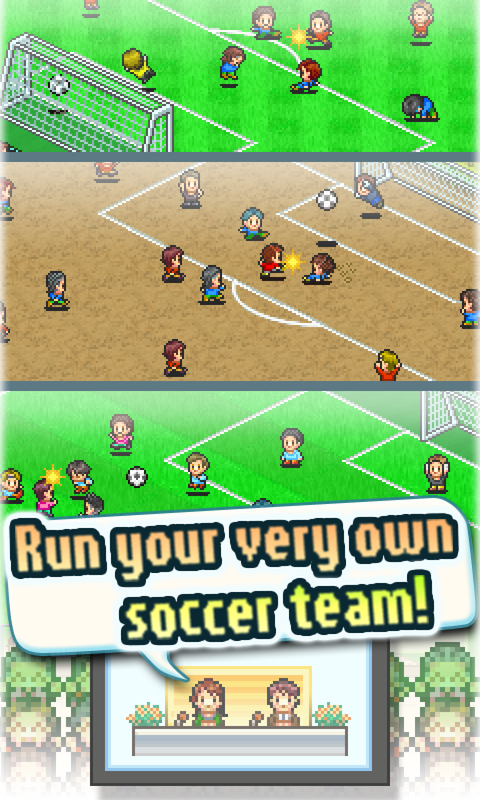 Here's the gist: you're the owner of a brand-new soccer team, represented by tiny pixelated players and managers. You'll have to recruit and train top-notch players to advance in the league. To do that, you also have to build up your facilities in a manner not dissimilar to old-school Sim City titles. New buildings will enable you to train your players with specialized skills, as well as bring in some much-needed revenue via visitors and sponsors. When it's time to start a game, you're more or less an observer, looking down from your box seats to watch your players duke it out via AI. (Direct control is not an option.) 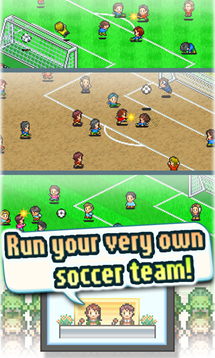 New gameplay elements include dynamic weather and penalty shootouts. 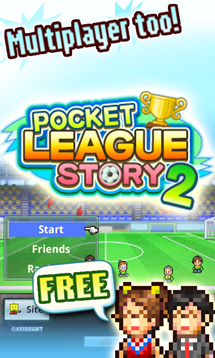 The biggest addition in Pocket League Story 2 is the ability to play against real opponents. 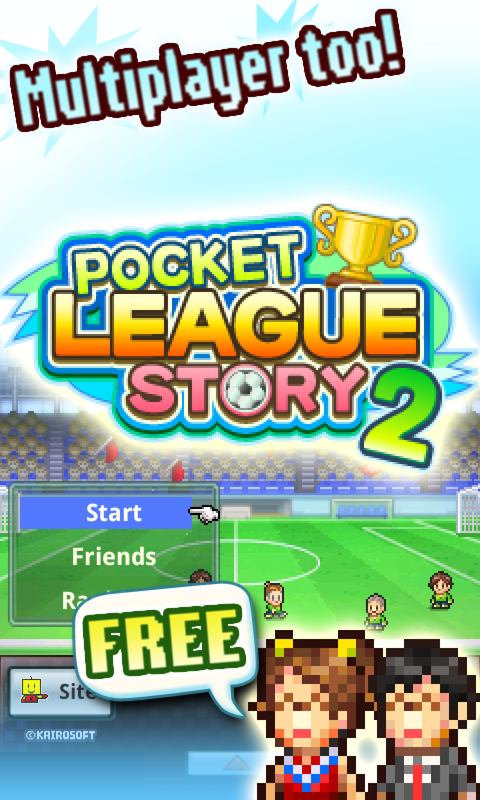 The integration isn't great - you'll have to add friends via an 9-digit code a la Nintendo's "Friend Codes," and there's no real matchmaking - but it's a very welcome change to Kairosoft's single-player only status quo. Multiplayer functions are listed as beta at the moment. 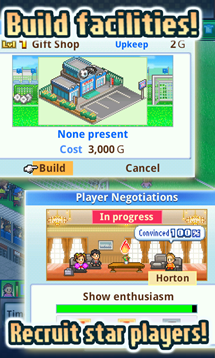 Kairosoft tends to avoid the more popular currency-based in-app purchase model. A $3.99 IAP will unlock the "full" version of the game, which allows you to play in landscape mode and gets rid of the ads. The company has released a few of its titles like this, but there doesn't seem to be any pattern as to which games will use the conventional free demo and full app or IAP model. 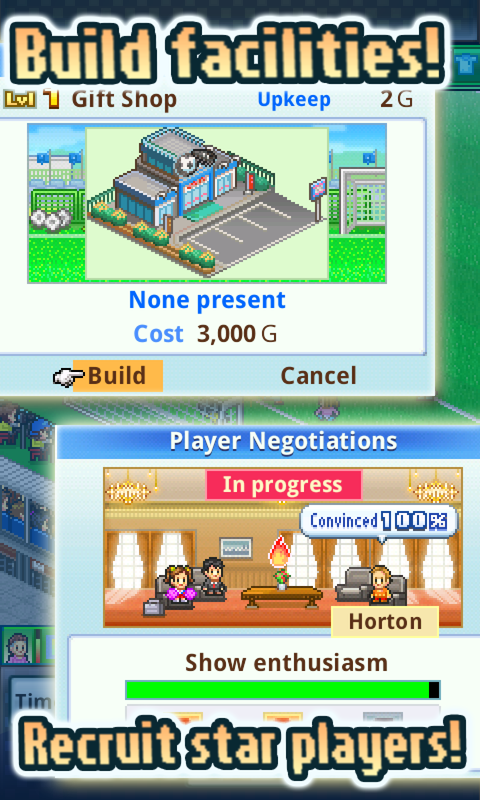 In any case, the game is more than worth it if you're a fan of Kairosoft's style or RPG/city builder games.